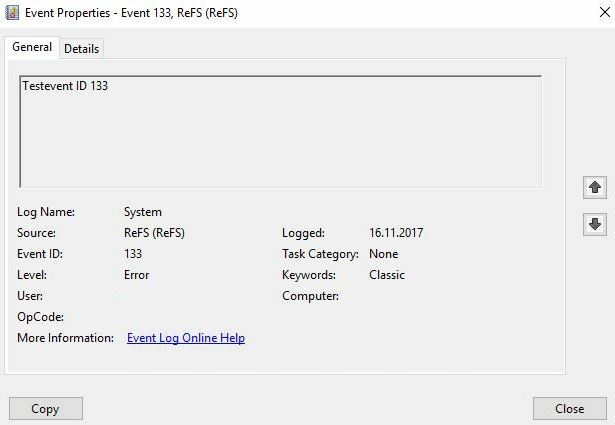 If you use ReFS for your Veeam repositories it makes sense to monitor the Windows Event Log for error ID 133 (“The file system detected a checksum error and was not able to correct it. The name of the file or folder is…”). ReFS feature Data Integrity Streams validates and maintains data integrity using checksums. In case of silent data corruption, it will generate the mentioned event log record. Check the other available options if useful for you and save the task. How can I check if the alerting rule operates as expected? 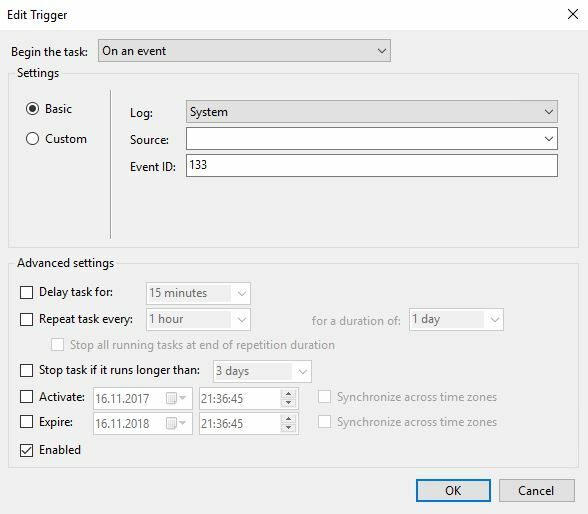 You can generate a test event with ID 133 using the eventcreate command utility. When the monitoring task is working as expected you should find a mail with the alert in your inbox. Rather than using blat, why not use the native send-mailmessage in powershell?